When Voluum decided to raise their prices 300%, affiliates were outraged and trackers came into the spot light like never before. Thanks to their shake up there’s a lot of great players that came to the affiliate and internet marketing space in 2018. 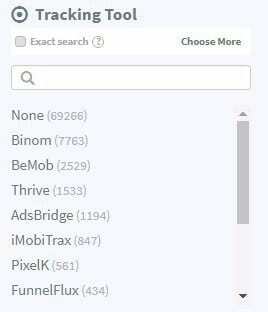 In the last few weeks I was asked by BINOM to take a look at their tracker as a lot of affiliates seems to be recommending it to each other. I have to admit, when they reached out to me I was like oh god, not another tracker. But then they showed me the FACTS below (see screenshot). I was like hmm, ok let’s take a look!! Second, their public announcement post on STM (published in July ’18) has already obtained more than 9000 views and more than 100 replies with astonishing positive feedback. So let’s try and find out why people are liking this tracker so much. Binom is self-hosted, which means from one side that no one will have access to your information, from other side that you will have to install it on your own dedicated or VPS server. It is recommended to get your server close to your target audience, so if you run US traffic the most, be sure to pick up a server there, if it’s in Europe, get an EU server (NL is really good location) if its in Asia then look for one there. For most people that is a big NO, since it is too much trouble, BUT not with Binom. Ready-to-go script that will install tracker and all necessary software to your server and that will OPTIMIZE it. Or you can simply ask their support and THEY WILL DO EVERYTHING for you. So you just provide them with access to your server (that they’ll help you to choose) – and in 30 minutes you get ready to go tracker. Btw, if it happens that you will get any issues with your tracker or server – they will fix it as well. So you don’t have to know anything about servers at all. They also can provide you with referral link for Digital Ocean Hosting, there you will have free $100 for 2 months, which basically means that you will use almost any server for free for 2 months. So, as for me I have just asked support of what should I do (via live-chat) and they guided me through everything step by step and my tracker was installed in 10 minutes! I personally use RedTrack, but love how much features BINOM has and how fast it is. The layout is very good for affiliates because its like an all in one place and you don’t have to click around much to setup a campaign really fast. 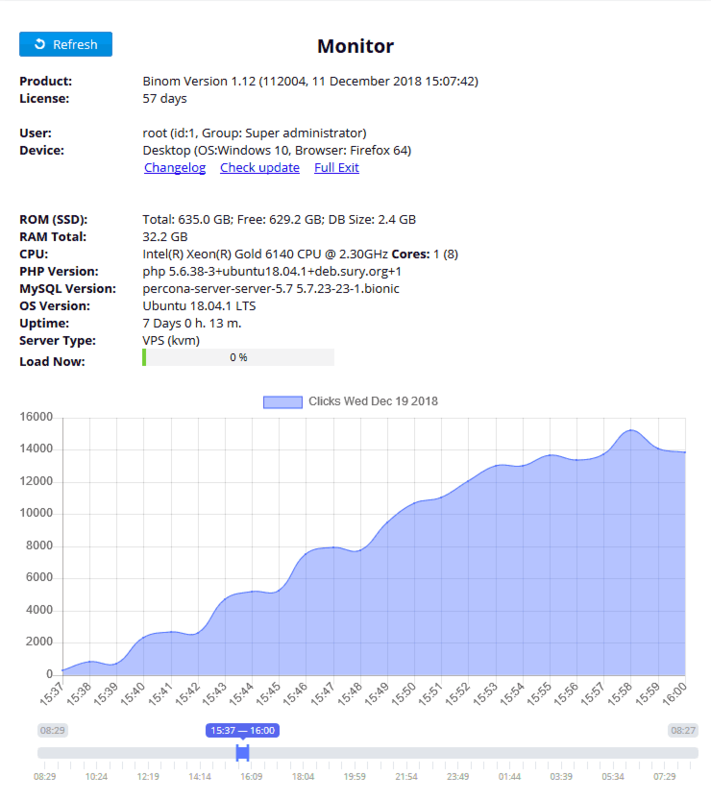 Since I get used to cloud trackers I was pleasantly surprised by MonitorTab where you can see your server’s condition and license details. This is VITAL. Remember how in the past I mentioned we used to pay for a 3rd party monitoring system Pingdom to monitor my tracker? 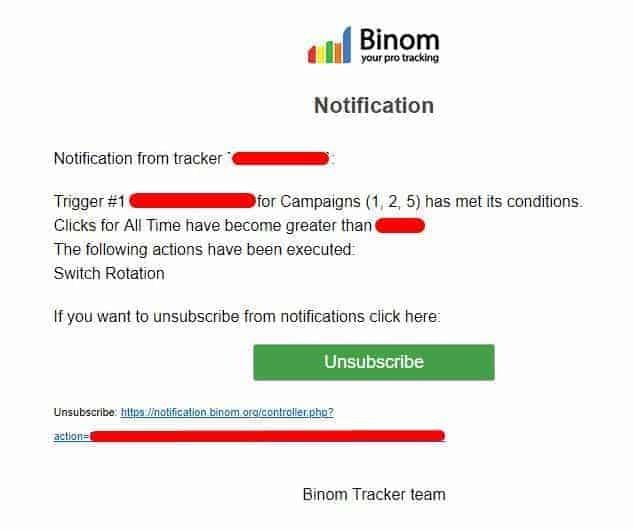 With Binom they will send alerts for free based on the criteria you setup. CLICK HERE TO VIEW THE THREAD If you don’t have an STM account click here to get one. Fast interface. Reports for thousands and even millions of clicks are loading in few seconds. Option 1: if you have all landing files, you can simply put them into .ziparchive and upload it into your tracker. So you can basically store your landings in your tracker. And all your .php scripts, cloaks and other stuff will still work the way they should work. Routes of any complexity. More than 20 criterias(IP, GEO, device, OS, language, any GET parameter, etc.) 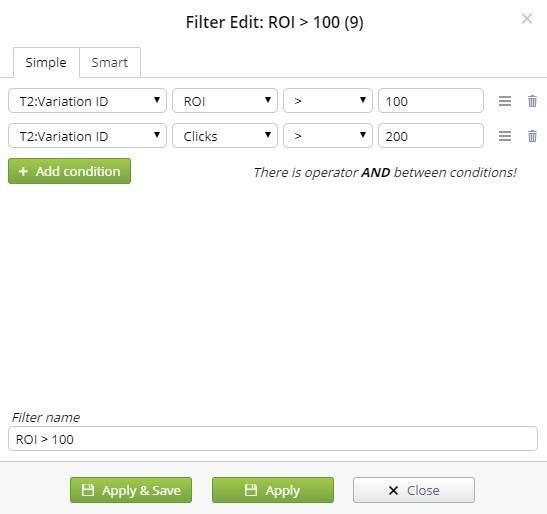 by adjusting which you can setup any traffic distribution funnel you like. And above all that another great feature I love in Binom – Smart rotation. So for example you have several landing pages in your campaign and if a user has already seen your first landing page and didn’t convert on it, it will be reasonable to think that showing him exact same page again might be not that good move. 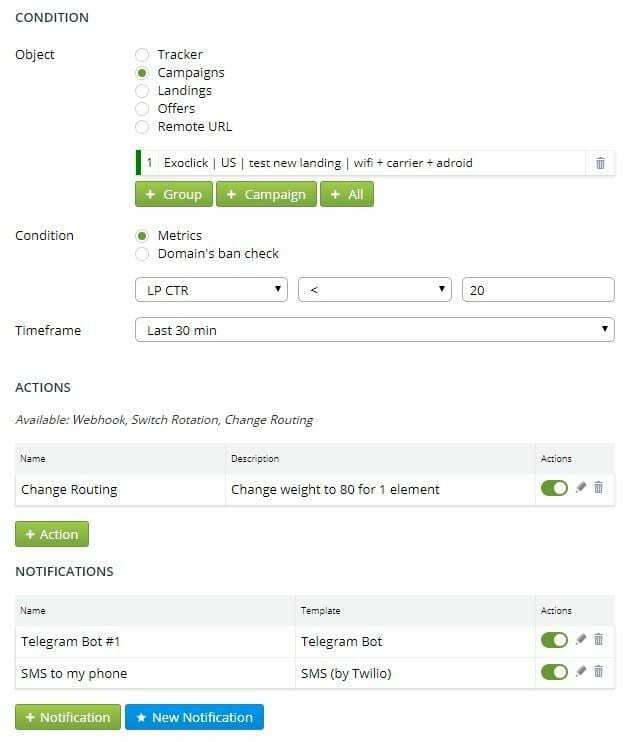 With smart rotation tracker automatically remembers which user which page was shown and on every time they open your campaign link – they see new page. Which end up growing your CTR potential. In some cases, you might want that user always see exact same landing/offer no matter how many times he opens your campaign link. In that case Binom has Fix on Paths option. It might sound a bit complicated at the start but after short practice you will be able to create funnels of any nesting levels with Binom. 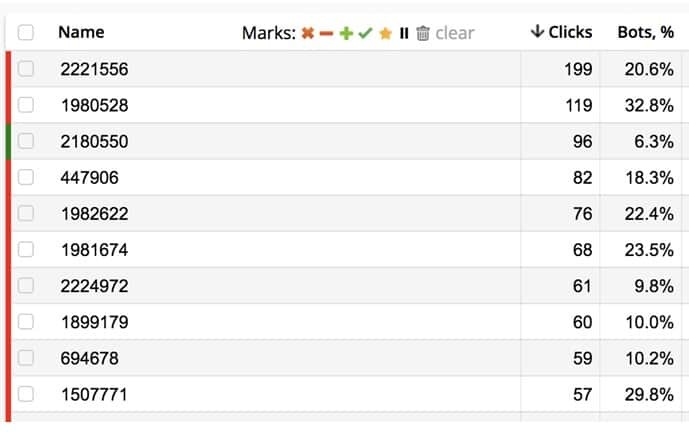 With this feature you can rate the placements and sort them by rating or just filter them and show the good ones or the bad ones. It´s a really nice feature to keep a better overview over the placements. You can save them for later use so that you don´t have to create them every time new. When you then go to the campaign report you just click filters and choose directly the saved filter. Saves lots of time when you go through the reports often. And when you want to export the placements to blacklist them you have several options for export: CSV, TXT and Clipboard. Clipboard is very helpful, you don´t need to open a file and copy the placements from there. Just export them to click board and paste them into your traffic source. 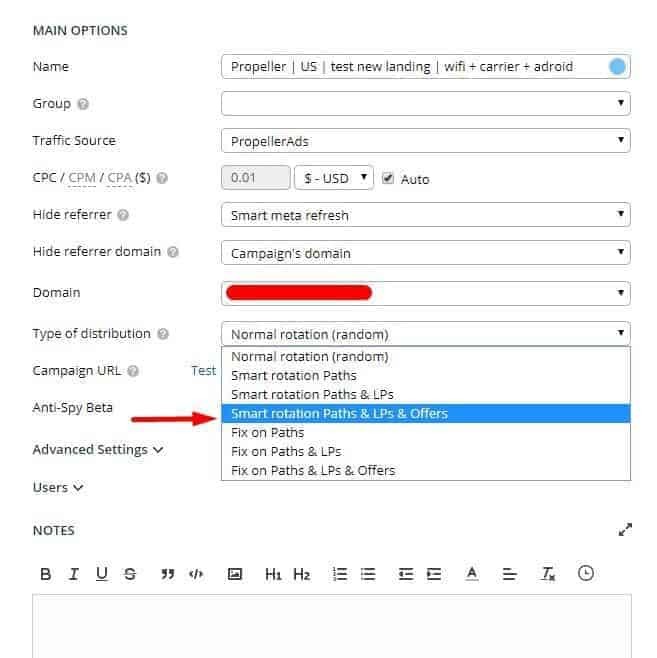 Landing protection is a simple feature that will block any direct access to your landing expect from campaign URL. That might not always protect your landing from being ripped by spy tools,but that is another barrier you might want to add. 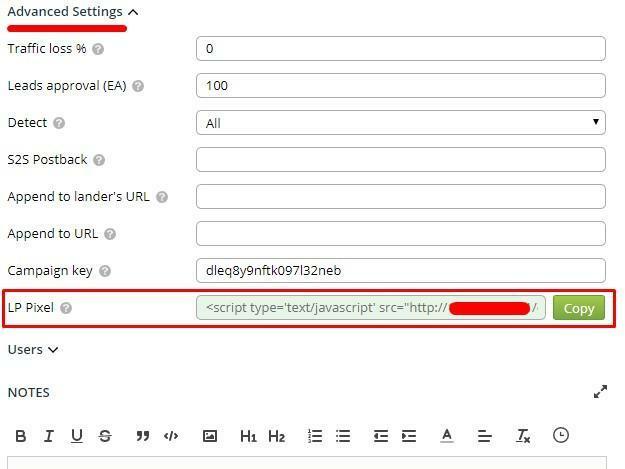 Simply paste code from your tracker to your landing and add special key-token to your link. Binom can actually send you messages on all sort of things, like if you are out of space on your server or if a new update is released or if CTR on specific campaign is lower than you want it to be. So you shouldn’t worry anymore about your domain getting banned by Google or about your landing page become inaccessible or about CTR decrease while you are sleeping. I got a hint from Binom guys that in the next update they are going to implement Auto optimization! 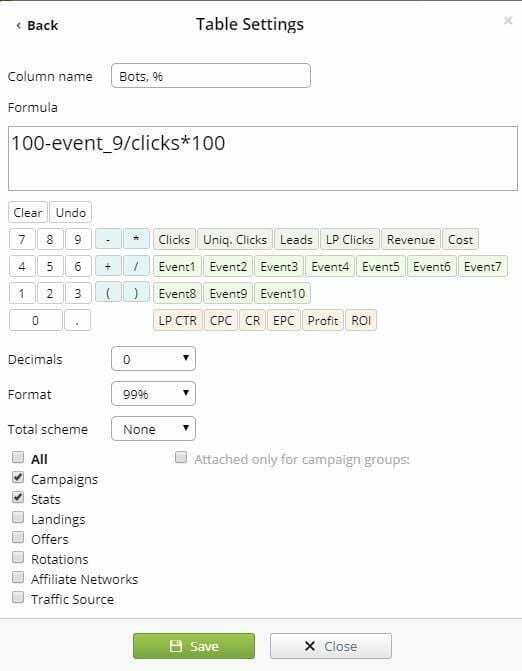 In Binom, to each click you can allocate up to 10 Events – different numeric values. 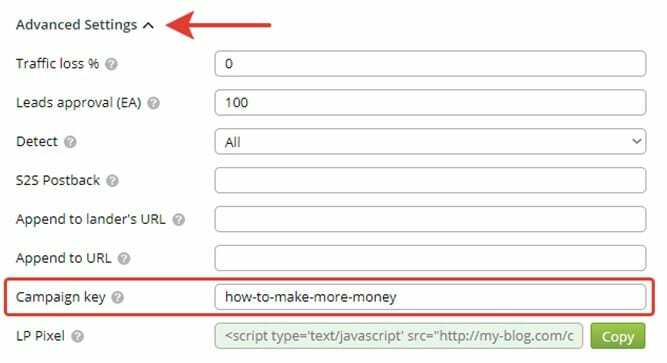 This comes handy when you want to add some custom scripts to your landing or just want to analyze your traffic even more deeply. For example, you know that bot at mobile traffic can be identified by lack of‘window.orientation’ parameter. So you can write a simple script on your landing that will mark those who has this parameter with let’s say event#9. The simplest but yet powerful feature that made exactly the way you want it to be. A simple note field available for every campaign, that helps you organize your thoughts, track progress, all changes that you’ve made and tests that you’ve performed. Oh and you can also add pictures or gifs there. 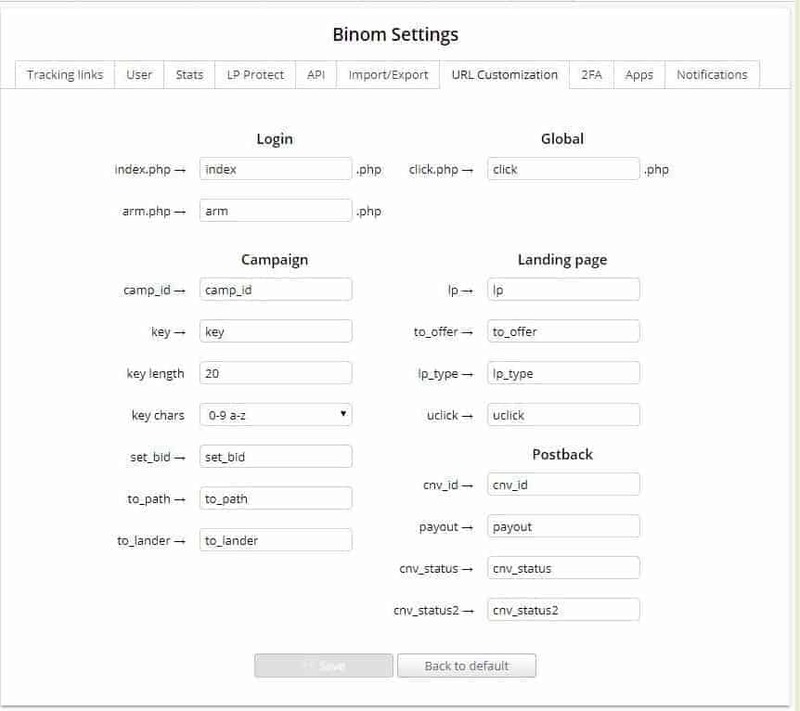 You can create unlimited amount of users in Binom with different access rights and with separate access to different campaigns. This last one is abit trick and might be not that easy to grasp, but still I can’t avoid speaking of it, since it is so cool. 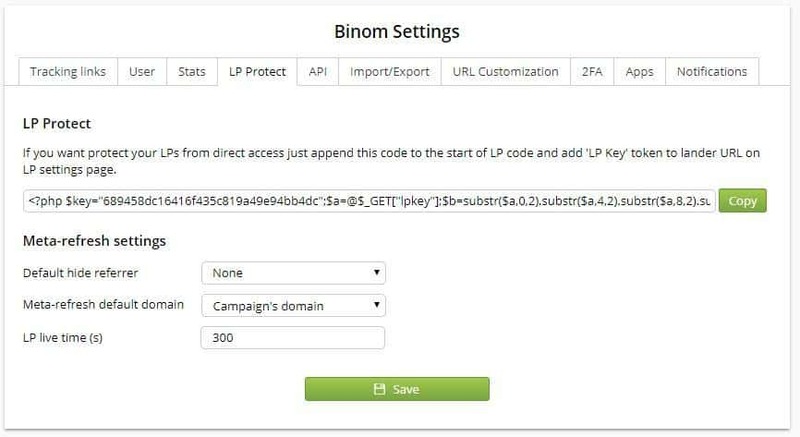 Your competitors or moderators can find out about your tracking system if they crop your campaign link to just a domain, they will see your login window.In order to avoid that (and for bunch of other reasons) Binom offers URL customization options. You can hide your default index page, so no one will see your tracker. 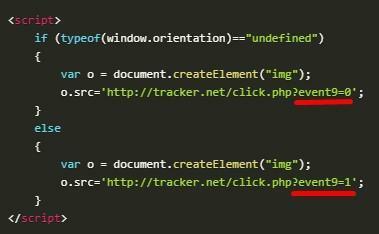 Here you can customize any tracker’s URL parameter to make it less obvious. More readable link is -> more trust form users -> better ROI. But that is not all, you can go even further and ADD A CAMPAIGN ON AN INDEX PAGE OF YOUR DOMAIN. Why do you want to do that? For example, some Facebook moderators tend to check your campaign URLs in the way of just checking main domain only. Moderator might actually go to just https://yourdomain.com – just to check how legit your website is. 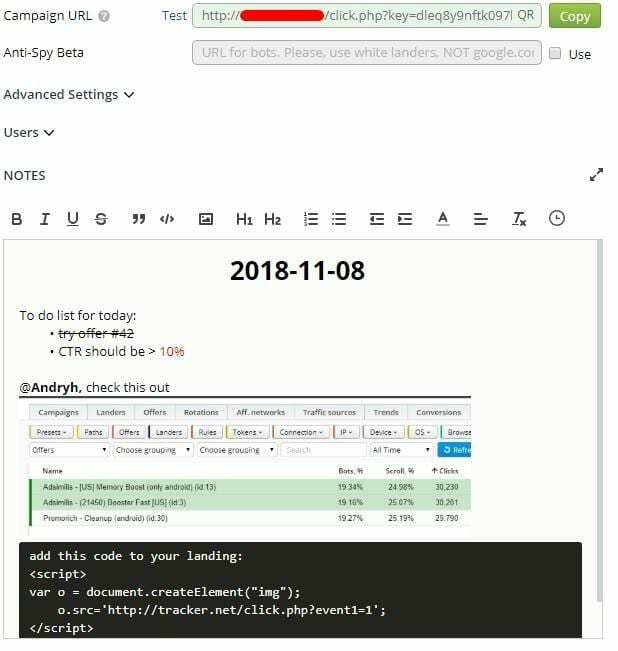 But since you foresee that moderator will actually open another campaign in your tracker (using integrated landing this will happen without redirect!). So you will be able to see every user that happen to be so curious (and their IPs also) and create new cloaking rule (for example by IP) on your main campaign. Many affiliates are afraid of self-hosted solutions since they think thatthey will lose in redirect speed and in Geo distribution. Cloud – is another example of good marketing that stuck in our heads and it is almost shocking for lots of affiliates that self-host nowadays can be as good as cloud. But, of course, the tracker itself and server should be optimized. Guys from Binom do understand that and by my opinion they provide one of the best solutions on the market today. In some areas I would say Binom is more affiliate-oriented than Voluum itself, since it looks like Voluum starts to position themselves as an enterprise solution. Binom license costs $99/month. Server will cost you from $15 (handle around 300K clicks/daily) to $100 (handle around 10M clicks/daily). But don’t take my words for granted, for promo-code IAMATILLA you will have free first month to try Binom and 40% discount on 2nd month. P.S. 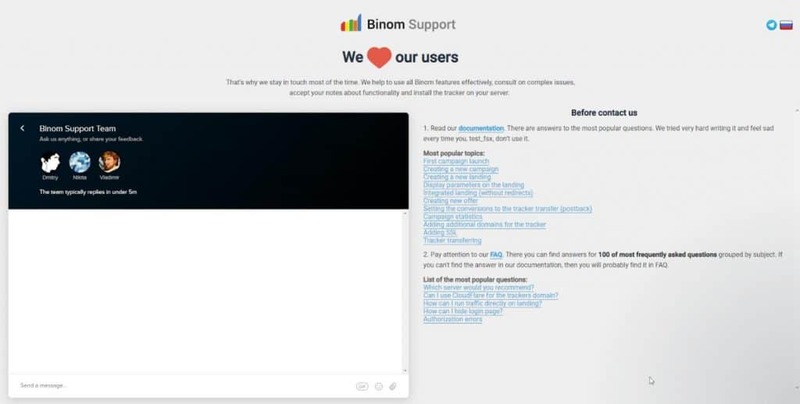 do remember that their support can provide you with referral link to a host, so it basically means that you can test Binom for 1 month without paying anything. Hey Attila! Do you use it? How much traffic do you have with unknown os in the stats? I do about 25% in my test campaign. Their support says it’s OK 😀 we’ll fix it someday. If you read the review, it says in my review that I use RedTrack. But many affs use BiNom and they are great people. Which of them is better solution for cloacking?